Are you facing a financial emergency in New Brunswick? Need instant cash? Contact Canada Loan Shop and fix the issues without any difficulty! With only a fully owned car with a lien-free title, a valid Canadian driver’s license, and proof of permanent residence you can apply for car title loans New Brunswick to borrow up to $65,000! No need to worry about your credit score or credit history, long loan approval periods, and a complicated loan application procedure, when you are with us. Our loan services basically provide the money you need in exchange for the title of your vehicle which acts as loan collateral. We have the most flexible payment plans, longer loan terms, minimal requirements and the most convenient loan process for auto title loans New Brunswick. Step 1. 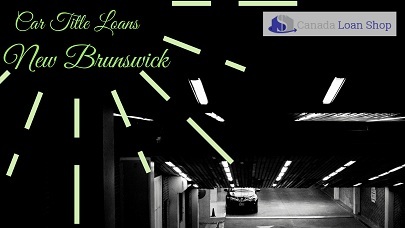 Call Canada Loan Shop or apply online for vehicle title loans New Brunswick. Step 3.Talk with our expert loan representatives to discuss all the loan terms and conditions. You Can Call Us To Know More!